Last weekend, The Macdonald Notebook took a call from Brian Mulroney, who was at his Florida seasonal home in warm Palm Beach. 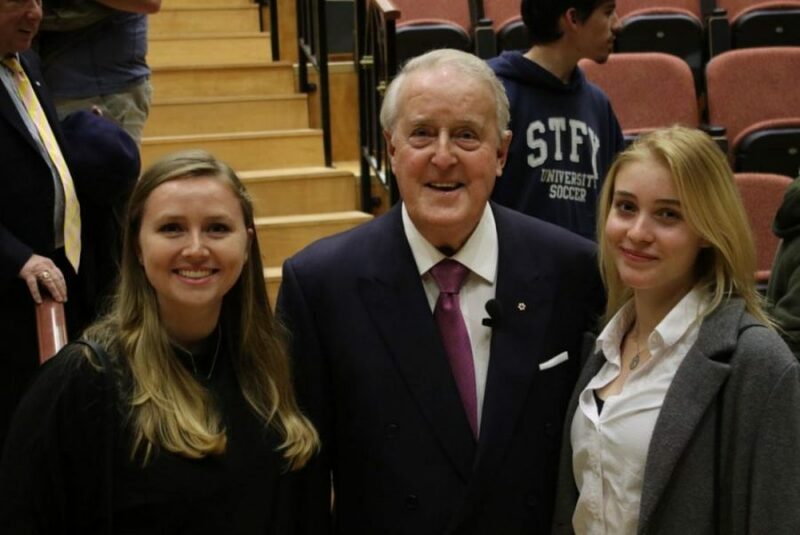 Brian Mulroney with St. FX students Margaret Elliotte, left, and Emma Lotte. Photo by Brendan Ahern/ Macdonald Notebook.